And I am coming back to share some very exciting news! Robyn's Fetish Challenge Blog has reached 400 followers! This is an incredible news to celebrate! You will find link to all the blow of our DT Ladies on my side bar and also you check this post. Or simply follow this list. Do not forget to check our talented DT sister's "CHRISTINE'S AWESOME FRIDAYS". This week she has an amazing project for you! You can't miss it! I'd like to share two cards (my favourite ones) with Robyn's Fetish digi stamps today. 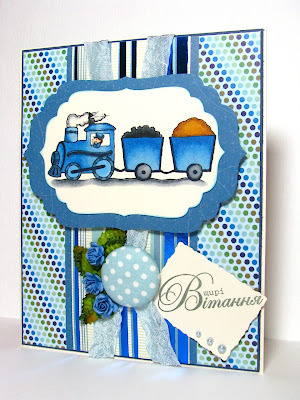 Masculine card using choo choo charlie image. And a valentine card using flowers n hearts stamp. Join in the fun! 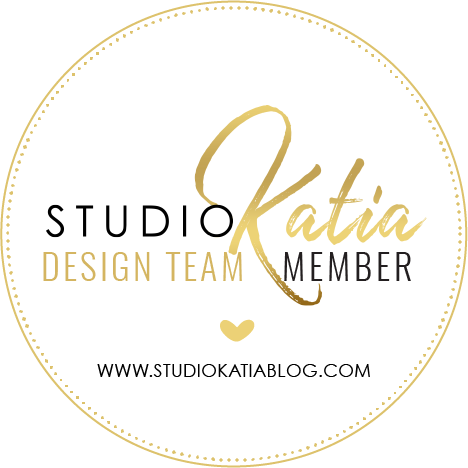 Help us celebrate by looking at all of the great projects on our blogs. Leave us some comments and by all means, if you are not yet a FOLLOWER of our challenge, please become one now! There are always some great sponsors for THE ROBYN'S FETISH CHALLENGE and they award very nice prizes to the winners. Very pretty cards! Glad to see you back online again! 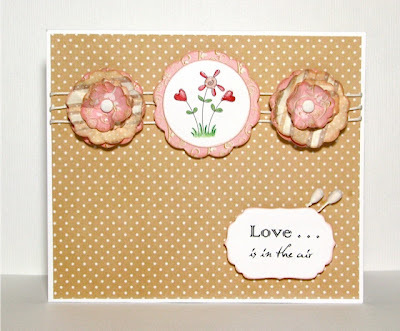 Beautiful cards, Lilia! Love the monochromatic feel of each of them. Gorgeous details. Congratulations to the whole team for reaching the 400 followers mark! Классные открытки, мне первая очень нравится. Fabulous cards. Love that train card.